Ben Appleby, is a UK based Still Life Photographer specialising in luxury products, cosmetics, liquids and textures. With a background in graphic design, ben brings his understanding of design, quality and beauty in products to his Still Life Photography. His style uses vibrant colours and dramatic shadows along with photoshop compositing to create dynamic images. 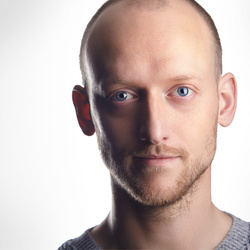 Ben is currently working as an advertising and commercial photographer and takes pride in helping business raise their profile and achieve their goals through high end photographic imagery.